Best treatment for Knee Injuries in India- With increasing work hours, stress and pressure, changing lifestyle and hectic schedules we face a number of orthopaedic conditions which consists of the knee, hip, neck, lower back, foot, elbow, shoulder and so forth. 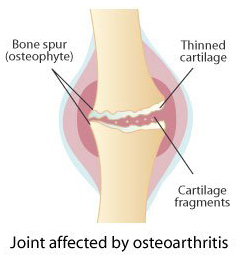 The joint pains have given rise to serious health conditions like arthritis, osteoporosis, fibromyalgia, etc. The knee is the most common body part of experience injuries and can lead to painful joints throughout life. Knee injury types include sprains, strains, bursitis, dislocations, fractures meniscus tears and overuse of the joints causing injury. Common symptoms of knee injuries include tenderness in joints, muscular and joint pain, stiffness in the body, difficulty in movement, inability to perform certain physical activities, swelling and redness in the body, crackling sound of the bones, ligament tear, degeneration of the cartilage, discomfort in the foot while walking, along with the pain in neck, shoulder and lower back. X-Ray: This is the primary and the most commonly used imaging technique to see inside the internal structures and to know about the extent of possible damage to bones or dense tissues. Magnetic Resonance Imaging (MRI): This is based on the principle of creating a magnetic field which gives detailed, high-resolution images of your bones, joints and surrounding soft tissues, such as tendons, ligaments and muscles. An MRI can show structural damage, deterioration or abnormalities. Fluoroscopy: Fluoroscopy combines X-rays and computer technology for real-time viewing of images. CT-Scan: Computed tomography scanning uses X-rays to take pictures of cross-sections, or “slices,” of your body. The knee pain treatment to be given depends on several factors like age of the patient, intensity, persistence of the health condition, etc. 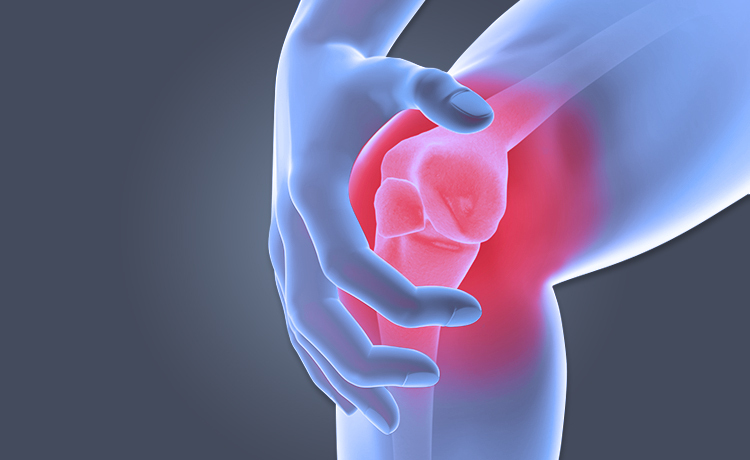 Various knee pain treatments are available today and one can choose accordingly. It may involve surgery or can be alternatively treated with the help of other variant methods like exercises, medication, nutritional supplements, weight stem cell treatment for knee injuriesmanagement, etc. Surgery is generally done when the chronic condition is attained by the patient suffering from the knee pain. In India successful ligament and cartilage restoration, joint transplantation, shoulder re-surfacing, soft tissue repairing, installation of artificial devices which aid in movement, hip and knee replacements, internal fixation of bones, etc, are done for knee and various other orthopaedic conditions. These surgeries are helpful in subsiding the pain and do require expertise. Some orthopaedic conditions may be acute and in the initial phases, can be tackled via medications, exercise and proper rest. As a large section of the Indian population is now experiencing knee and joint pains thus, initially weight management, diet, engaging in physical activities and taking fewer medications can be beneficial. Although in the longer runs the medications are not preferred hence, other treatments like stem cell therapy are suggested. Stem cell therapy is the use of stem cells for treating various orthopaedic disorders. Stem cells are obtained from the patient’s own body and enriched with certain growth proteins and are re-injected into the body. They are specialized cells which differentiate into a variety of cell lineages and perform the function of repair in the body. Stem cell therapy helps in regeneration of the ligaments and cartilages around the joints which get degenerated due to over usage and get wear and tear down thus, leading to knee pain. Stem cell therapy helps in relieving the pain because the stem cells act as precursor cells to synthesize certain protein factors which decrease the inflammation of the knee joints and hence, provides a smooth effect which aids in fluid movement. The PRP injections are given along with the stem cells which stimulate the cytokines and the injected processed stem cells to boost healing processes such as inflammation, repair, and remodelling because this platelet-rich plasma contains the high concentration of seven growth factors. A stem cell treatment in India is performed by Orthopaedic stem cell therapy expert who harvests stem cells from the patient’s body and uses them for treatment of arthritis in the knee. It is mandatory that the stem cell procedure for knee pain is given by an orthopaedic stem cell expert only as it requires specialized techniques and the sophistication involved in the therapy helps in acquiring the maximum benefit from the stem cell therapy. India has been recognized as the new medical destination for Stem Cell therapies because of the cost effectiveness and extensive diagnostic and imaging facilities such as MRI and CT scans. India in today’s time is known for providing with services of the most leading doctors and Stem Cell Therapy professionals at reasonable prices. For the patients going through surgery or joint replacement for chronic joint pains, these non-surgical stem cell injections offer a viable alternative. This therapy reduces the painful and lengthy rehabilitation period as well as provides patients with faster recovery, mobility and range of movements. Patients also get protection against infection and blood clots caused due to surgeries. Keep time for physical activities and exercises as it improves body tolerance by making it strong and fit. Our workplace demands us to sit for hours in a certain position which is a tiresome task. Hence, at times in between try to stretch your body and move a bit to regain mobility. Take proper diet and rest. Include foods and fruits rich in vitamins and minerals, calcium as they make the bones stronger, hard and protect them from injuries or accidents like fractures. Avoid over usage of the muscles and joints due to increased pressure as it may cause degeneration of the soft tissues. Do not ignore anybody or muscular skeleton pain; always go to an orthopaedic expert for an advice. If a knee pain starts then, you should go for physiotherapy, acupuncture, thermal or hot water therapy, etc, which can be helpful at an early stage. For further queries regarding Stem Cell Treatment for knee injuries, don’t hesitate to call us at +91-9654321400 or write an email to info@advancells.com.